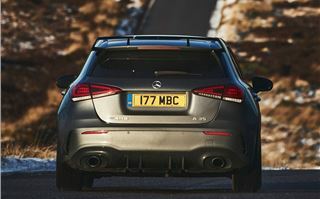 The A 35 4MATIC comes as standard with: MBUX multimedia system with ‘Hey Mercedes’ voice activation; seven-inch cockpit display and seven-inch touchscreen media display; hard-disk navigation; Active Lane Keeping Assist and Speed Limit Assist; 18-inch five-twin spoke AMG alloy wheel; AMG suspension; touchpad; AMG radiator grille with twin-blade lamella; AMG performance steering wheel in Nappa leather; high-performance braking system with AMG lettering; AMG exhaust system; reversing camera; Dynamic Select with five driving modes; Keyless-Go starting function; and automatic two-zone climate control. 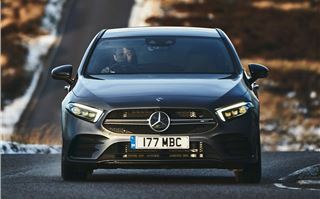 The AMG Executive equipment line costs £1,395 and adds a 10.25-inch media display; heated front seats; parking package including Active Parking Assist with PARKTRONIC; leather package; and mirror package including electrically folding exterior mirrors and automatically-dimming driver’s side mirror and rear-view mirror. 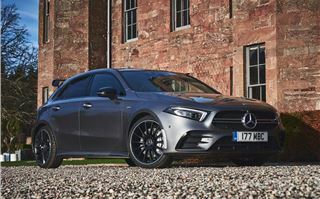 The AMG Premium equipment line is available for £2,395 and builds on the Executive line with a 10.25-inch instrument cluster; ambient lighting with a choice of 64 colours; illuminated door sills; Keyless Entry (lock/unlock); mid-range sound system; and rear armrest. 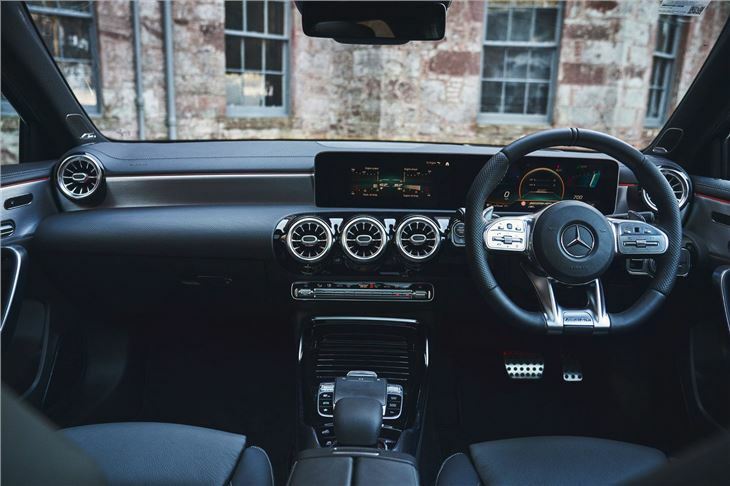 For £3,895, customers can add the AMG Premium Plus equipment line which, in addition to the AMG Executive and AMG Premium line, adds Burmester surround sound system; electrically-adjustable front memory seats; Multibeam LEDs with Adaptive Highbeam Assist Plus; and Panoramic glass sunroof. 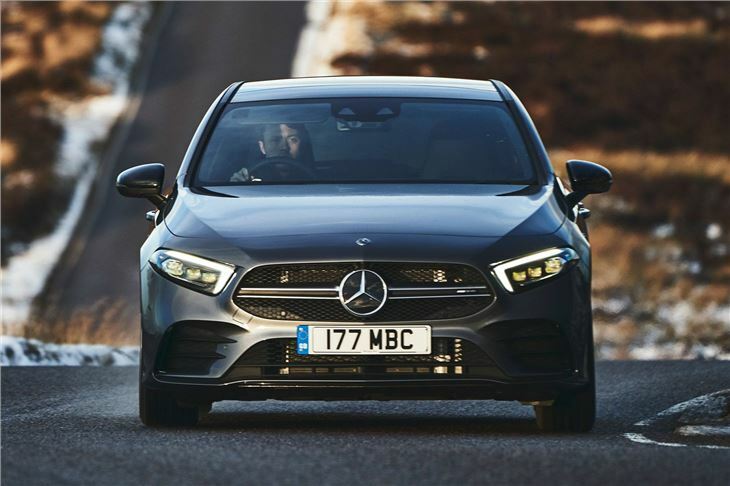 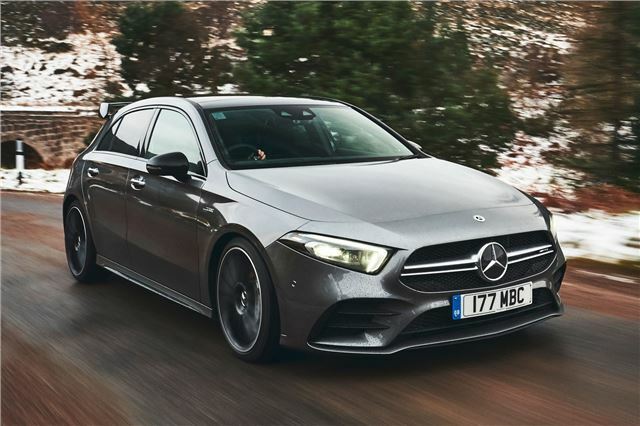 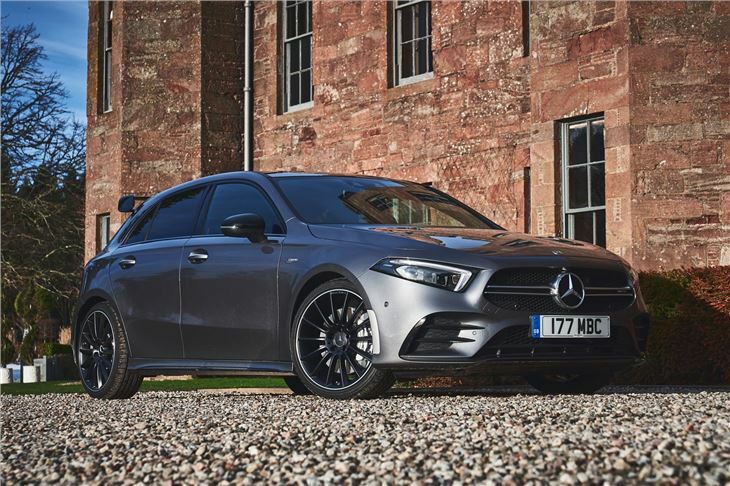 The £1,295 AMG Advanced Navigation package (in conjunction with the AMG Executive, AMG Premium or AMG Premium Plus lines) adds a head-up display; MBUX augmented reality for navigation; and traffic sign assist. 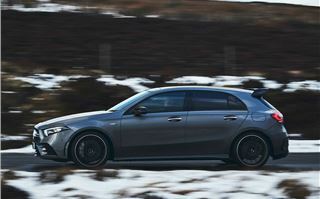 The AMG Style package can be added for £2,595. 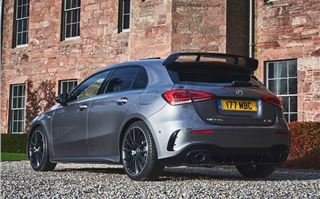 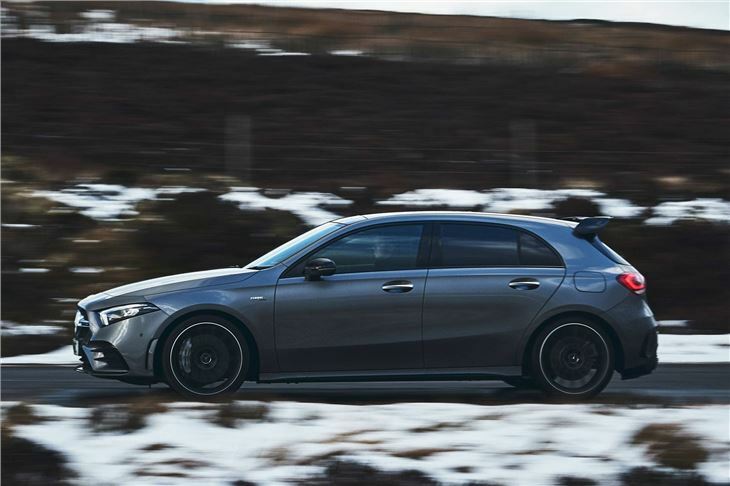 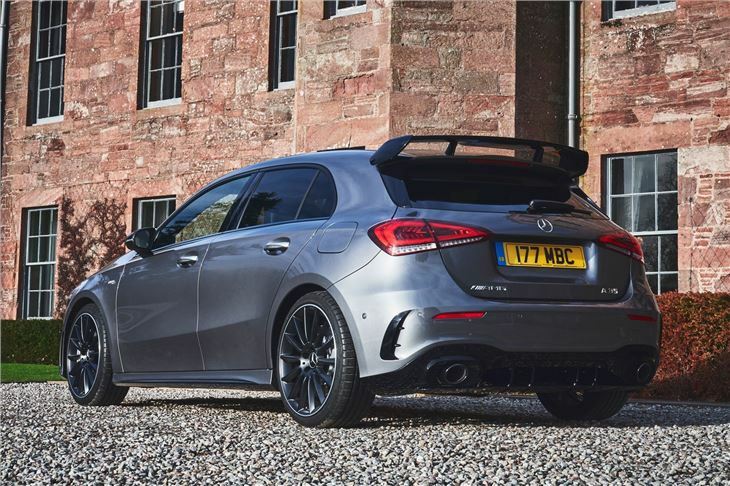 This includes AMG Aerodynamics package with a rear wing in high-gloss black, diffuser blade in high-gloss black, front apron with larger splitter and additional flics in high-gloss black; AMG Night package; 19-inch AMG multi-spoke alloy wheels; and heat-insulating dark-tinted glass.